Penelitian - Laser Interferometer Gravitational-wave Observatory (LIGO) may detect gravitational waves from the collision of a neutron star and a black hole next year. Yanbei Chen, professor of Physics at the California Institute of Technology (Caltech), said LIGO is currently under commissioning, and is planned to reoperate early next year. "The second observing run ended on Aug. 25 of last year and the detectors are right now being commissioned and upgraded for better sensitivity. This will increase our reach into the universe," said Chen. Gravitational waves are ripples of space-time curvature, just like a stone thrown into water will stir ripples. Compact objects in the universe, such as black holes and neutron stars, can generate gravitational waves as they collide. These waves were predicted by Albert Einstein more than a hundred years ago, but took scientists years to find experimental evidence. LIGO constructed two 4,000-meter L-shaped laser interferometers at Hanford in Washington and Livingston in Louisiana, respectively. The detectors captured gravitational waves from the collision of two black holes on Sept. 14, 2015. This collision took place 1.3 billion light years away, and the waves took 1.3 billion years to arrive at Earth. This discovery, announced in February 2016, was considered a major milestone in physics and astronomy. Scientists later on announced four more gravitational-wave detections from colliding black holes. On Aug. 17, 2017, the collision of two neutron stars was detected, both from gravitational waves and from the accompanying electromagnetic signals. This collision took place in the galaxy NGC4993 of the Hydra constellation, a galaxy 1.3 billion light years from Earth. Astrophysicists have also predicted that a black hole and a neutron star can collide and send out gravitational waves, possibly also electromagnetic waves, but such collisions have not yet been observed. "As LIGO turns on again next year, we hope to discover gravitational waves from the collision of a neutron star and a black hole," said Chen. Chen said apart from commissioning the detector, LIGO scientists are still analyzing existing data for more discoveries. Scientists are planning the next generation of gravitational-wave detectors, which they hope can achieve 30 times the sensitivity of LIGO. New detectors would more precisely explore the space-time distortions near black holes, search for black holes that were born soon after the birth of the universe, and help scientists better understand the internal structures of neutron stars. Three scientists, who conceived and lead the LIGO project, were awarded the 2017 Nobel Prize in Physics. "We also welcome bold speculations. 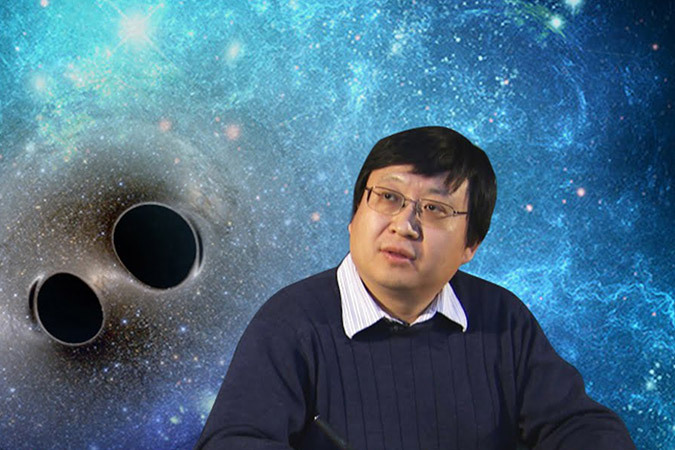 For example, some believe that black holes may not be completely 'black', but can instead reflect gravitational waves, and cause 'echoes'," Chen said. Even though such speculations have encountered skepticism, discovering such echoes will definitely revolutionize fundamental physics. The LIGO Project, funded by the U.S. National Science Foundation, is built and operated jointly by Caltech and the Massachusetts Institute of Technology.